Imagine a time when stories were told by radio. Skilled actors would coax audiences out of their living rooms and into their imagination solely through sound. In Joe Landry’s play – spies; murder; love; and other trademarks of Alfred Hitchcock come to life. 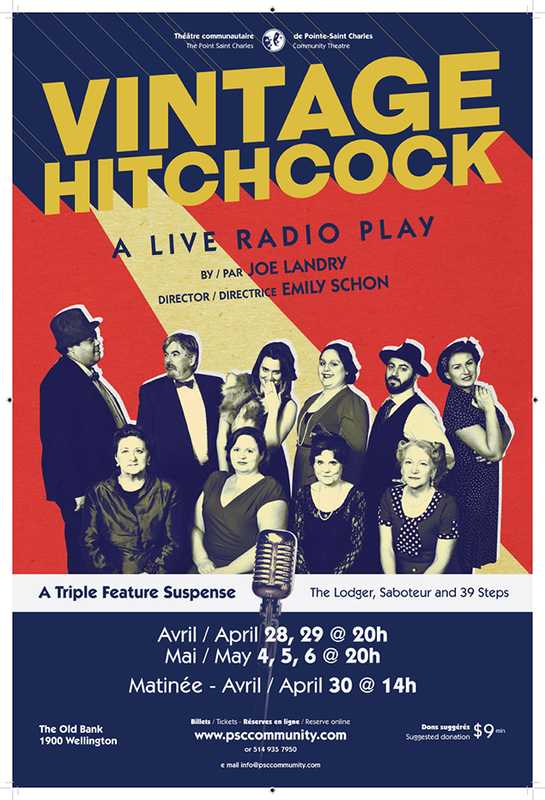 The play is a trio of radio suspense dramas, The Lodger, (modelled after Jack the Ripper) Sabotage, (terrorist attacks and undercover investigation) and 39 Steps (international spy story) which are enacted for a live radio broadcast. The audience will also get to experience the magic of live sound effects and vintage radio commercials. AND WE ARE LIVE ON FIVE, FOUR, THREE, TWO, AND ONE!